I know. Another long-overdue post. During early October I had the fortunate opportunity to attend eMetrics in Boston. Aside from an awesome conference that I won’t go into detail here, I decided to take a few additional days to explore some of Boston and area. 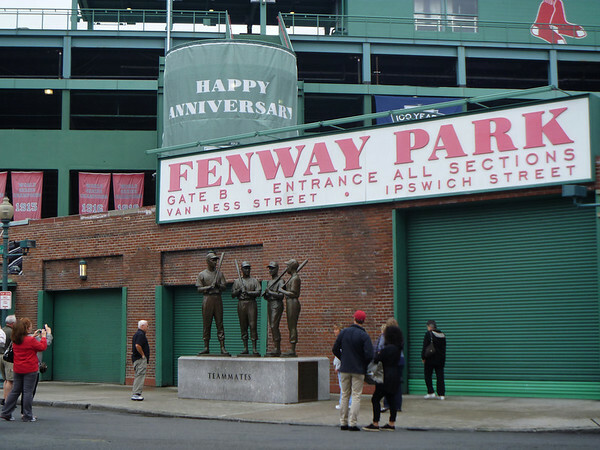 One of the first places that I had on my mind was Fenway Park — just simply because of the history. One thing I love about Boston is its public transit and the ability for someone to simply wander all over town by foot, stumbling on to used bookstores and very old architecture. I even made use of AirBnB this time around (which might I add, I highly recommend for Boston because accommodation in the area is very expensive) so I got to hop on the local public transit. 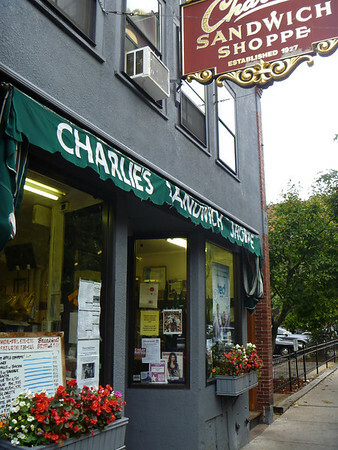 I only wish I had the opportunity to try Charlie’s Sandwich Shoppe. I arrived by foot too late! Trying to stick to budget was difficult because there simply were too many interesting restaurants so I ended up becoming a regular customer at Laz Cafe in the South End neighbourhood where I was staying for the week. I think I went there so many times over the period of a week that the folks there thought I was a local resident. Good people and generally good food and value. I definitely recommend trying out one of their “roll ups” — I will caution that they are pretty large! 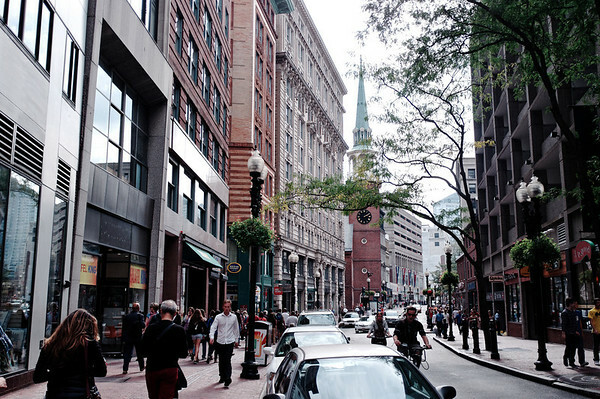 I had the opportunity to just sit back and relax and watch trains of tourists walk through and along the Freedom Trail. I liked most of it but there were some parts that simply had way too many tourists hovering around. I guess that’s to be expected. 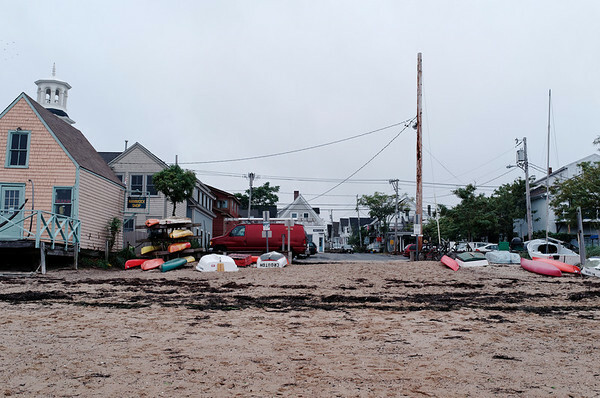 After the conference, I waited until good weather settled into the Cape Cod area, I hopped into a nearby Zipcar early in the morning (3am to avoid the rush hour traffic) and took off for Provincetown. 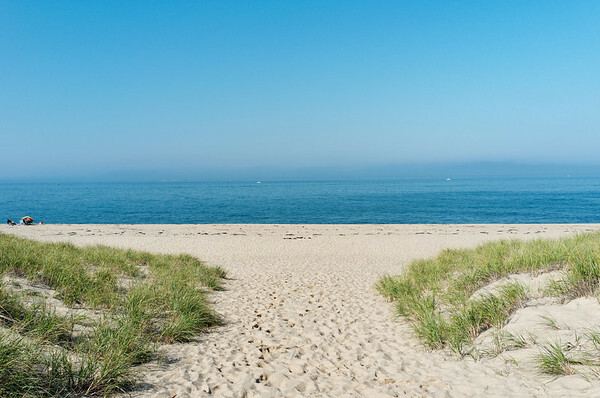 The drive was extremely peaceful and it felt like I was the only one on the road — that is until I got to the single lane highway leading into Provincetown where I grabbed an early morning tea, a fresh cinnamon bun, and a blueberry muffin … and walked out to the beach. Everyone must’ve been in the process of waking up because there was barely anyone around. As I strolled around town, I came across Bubbles. Bubbles must be well-recognized internationally. 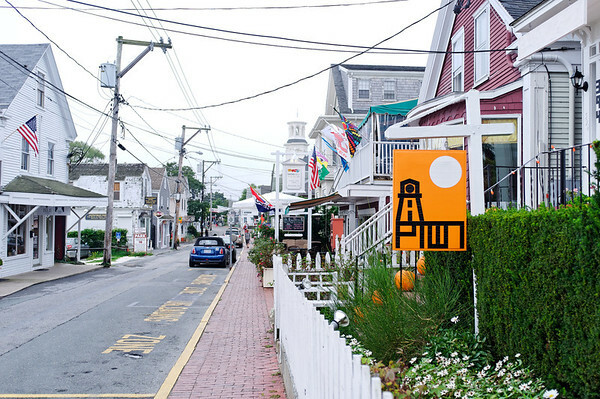 One of my favourite moments during this trip was during my stroll through the main street in Provincetown, only to look down an alleyway and see an “Art” sign from a distance. 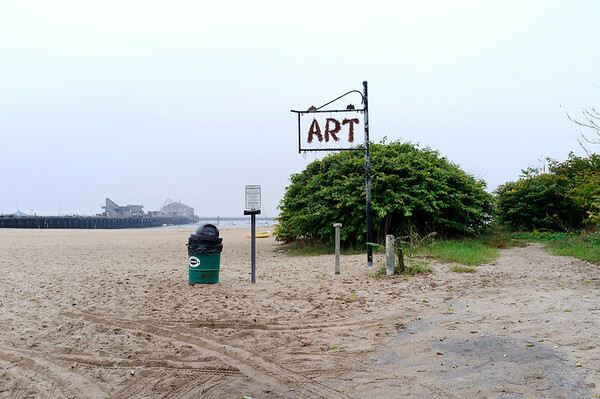 I have to say it was quite inspiring to walk down an alleyway out to face a beach on one side and an art gallery on the right. 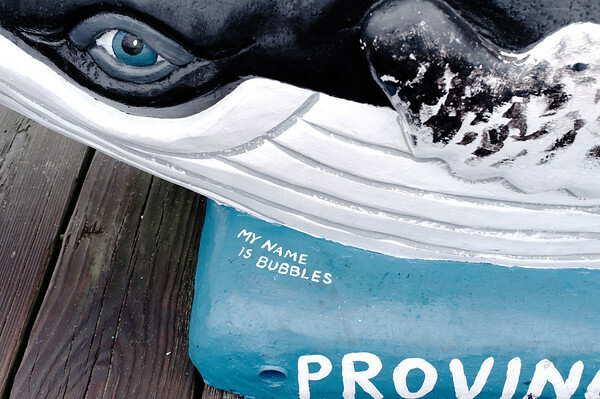 Also for anyone visiting Provincetown, be sure to check out the public library — it’s got quite a view of the town and there’s an actual boat in the library itself. I had originally intended on cycling across much of the national seashore but I just didn’t have the time so instead I ate some super fresh fish and chips and then drove out to see this stunning long strip of sand. It was incredibly hot for a day in October but perhaps perfect given the fact that I was on a beach. I can really see how there could be a significant number of people during the summer trying to get to the beach. Wow. Anyone travelling through the Cape Cod National Seashore should really check out the lighthouses — they are pretty spectacular. 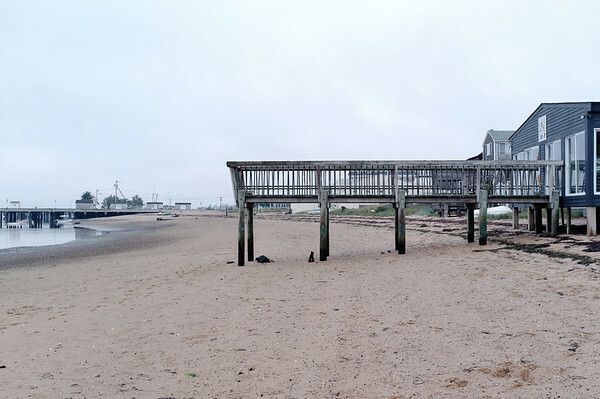 My one day in Provincetown and the Cape Cod area made me yearn for more time to explore that region but with one day left before flying home, I decided to explore Boston and its public transit some more. 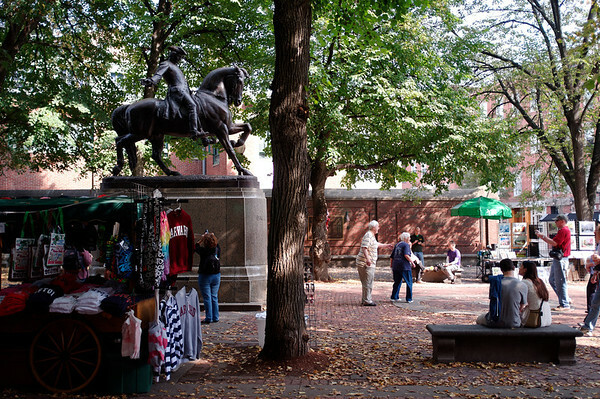 This included making a visit to Harvard Square which was enticing initially until the point when I arrived and saw the square packed with people (most of whom were likely students). After wandering around the area a bit, I decided to hop back on a train back to the core … only to end up having a thorough discussion with some dude about yoga, meditation, and the rationale for meditating. What a bizarre way to end my visit to the academic area of town. 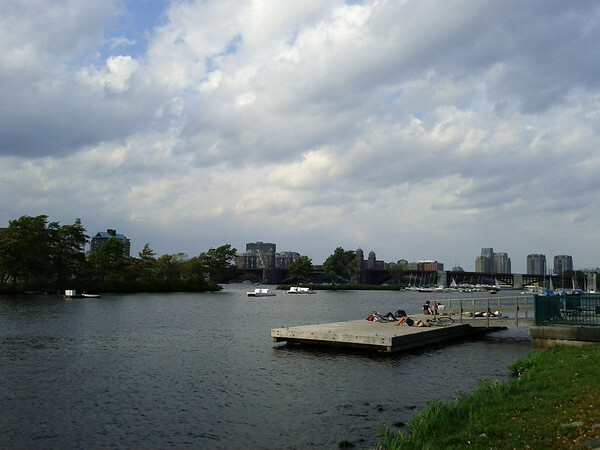 For the remainder of the trip, I simply walked some more around town hitting up used bookstores, and chilling out along the Charles River which was really a beautiful public space of the city to sit back and relax — watching the boats go by. 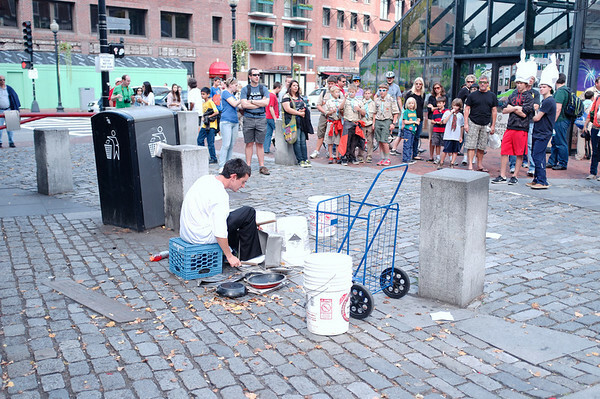 Also got to witness a very talented busker musician in the Quincy Market area. Also have a clip of his performance too. Listen to the fascinating sounds of the market and him.